in Addition to Potential Health Concerns. A dirty filter will slow down air flow and make the system work harder to keep you warm or cool – wasting energy and leading to expensive repairs and/or early system failure. A buildup of .042 (1/20) inches of dirt on the heating or cooling coil can result in a decrease in efficiency of 21 %. 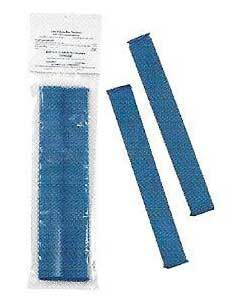 98% of all airborne particles are too small for even the best disposable filter to collect. Replacing your filter with a high efficiency air cleaner will protect your heating and cooling equipment while improving the quality of air in your home. High efficiency air cleaners will keep your HVAC equipment and indoor air clean, lower utility bills, and lengthen equipment life. 100% of homes tested had toxic compounds including pesticides, cleaning compounds, chemicals found in furniture and building materials, that can be the cause of asthma, allergies and other ailments. 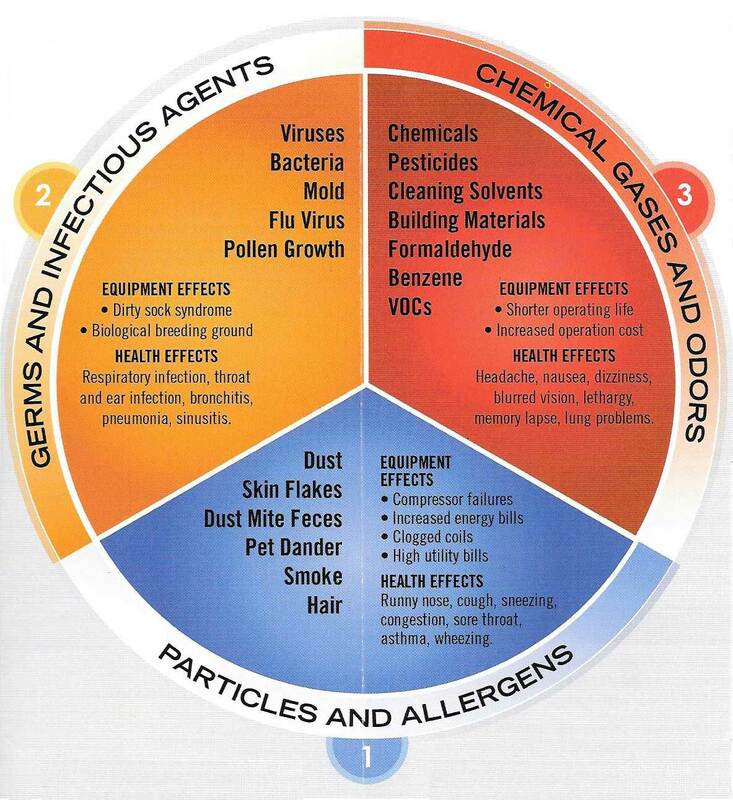 Indoor air can be 2-5 times and as much as 100 times more polluted than outside air. There are three types of airbone contaminants responsible for aggravating allergies, asthma, and other illnesses. 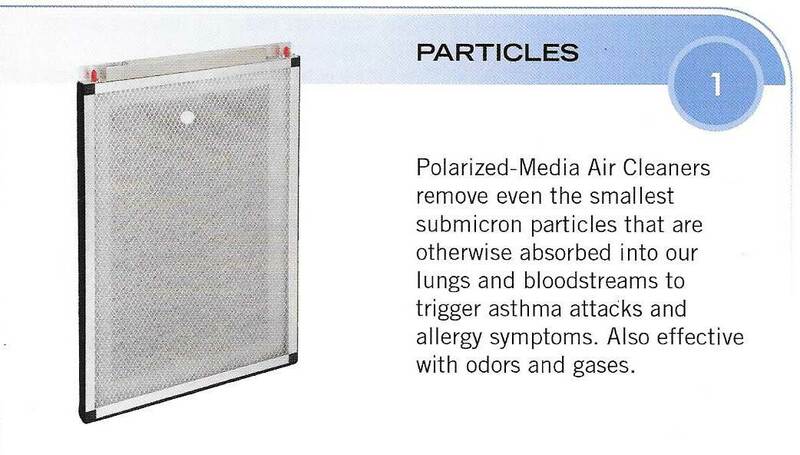 These three types of airborne contaminants can negatively impact health and HVAC equipment performance. The best air quality solutions address the causes rather than symptoms, using a whole-house indoor air cleaning strategy. 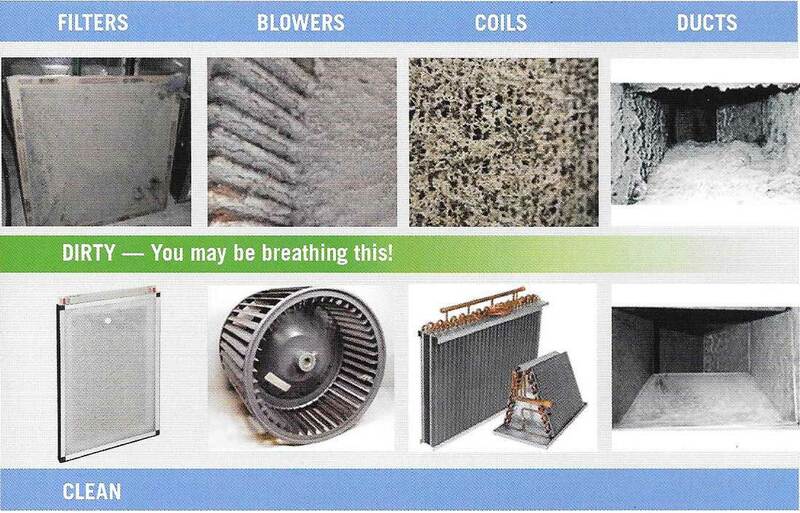 Your heating and cooling system moves over 1 million cubic feet of air everyday through your home. 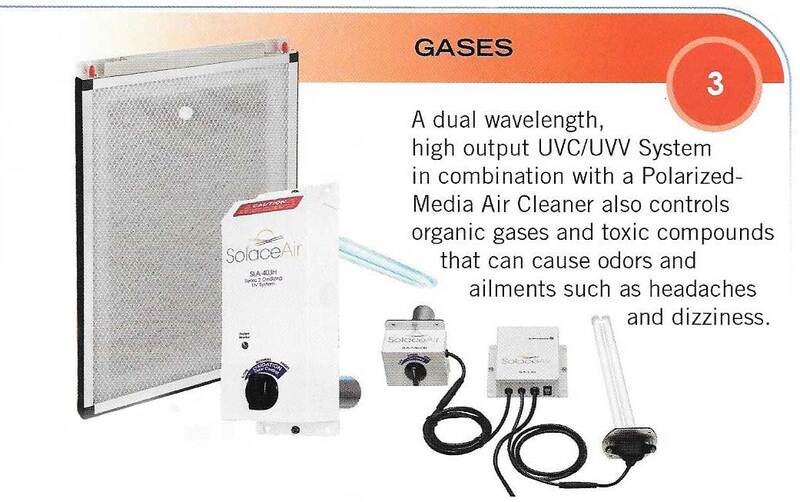 This is the perfect place to address indoor air quality challenges using products designed to specifically address the three types of airborne contaminants. A whole-house air cleaning system that cleans, disinfects, and deodorizes your home 24 hours a day is much more effective than units designed for just a room or two. 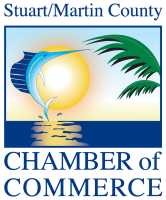 Backed by over 30 years of experience and proven success in the engineering of both residential and commercial indoor air cleaning systems, SolaceAir has the experts that professional HVAC contractors rely on to address your indoor air quality needs. 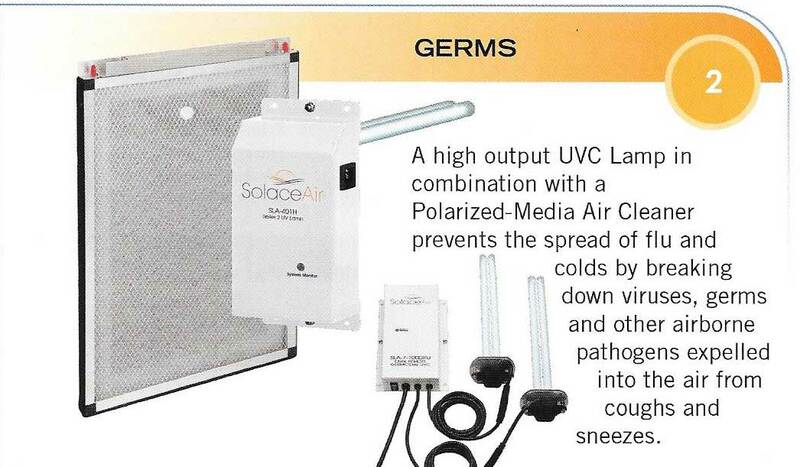 SolaceAir products are designed to support the proper air flow and high intensity air cleaning that controls sub-micron particles, biologicals and gas phase contaminants. And be sure to have your indoor cooling coil checked annually and your time-release condensate drain pan treatment changed a minimum of once a year to keep standing water in the drain pan bacteria-free and odor-free. Routine documented maintenance on your HVAC system will protect your system warranty while keeping your system running at peak efficiency. Studies by utility companies and an independent university test show that an improperly maintained and dirty HVAC system can increase your utility payments by as much as 40%.